CodeLobster PHP Edition Pro 5.x » Developer Team :: Best choice for developers! 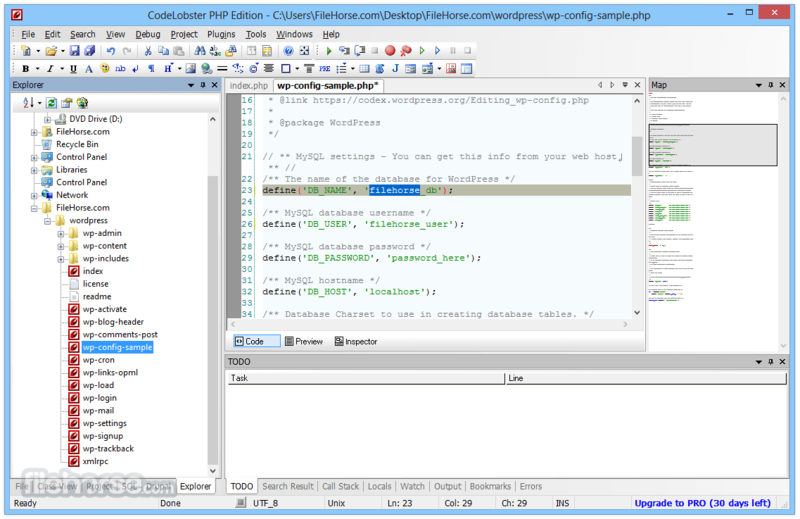 CodeLobster IDE streamlines and simplifies the PHP development process. You don't need to keep in mind the names of functions, arguments, tags or their attributes -- we've implemented all these for you with autocomplete features for PHP, HTML, jаvascript and even CSS. And you can always get necessary help information by pressing F1 or using the special Help control.